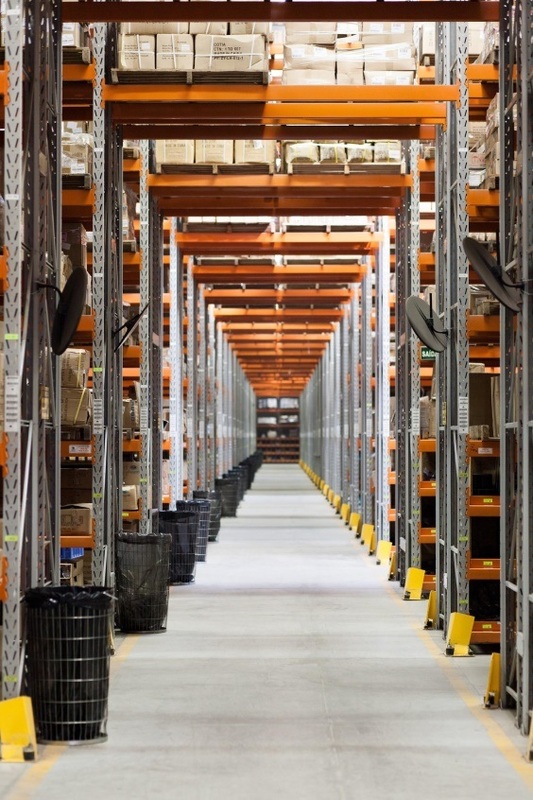 Warehousing is not just about product storage. If you look at a blueprint of any of the country’s most well-designed warehouses, you’ll realise that only 75-80% of the floor space is intended for storage operations. The rest is left for processes such as receiving, dispatching and staging, which are just as vital in keeping the warehouse operational. If you are planning to build your own warehouse or to remodel an existing one, there are many considerations you have to make before you can come up with an effective design including space efficiency. Making the most out of the available space in the warehouse without compromising productivity and safety should be the core basis of your plan. There are numerous factors that you need to take into account when trying to achieve a desirable level of space efficiency. It wouldn’t be too complicated if you are building from the ground up because you can plan the features of the structure and the floor space distribution at the same time. If you are renovating, you will have to come up with a floor plan based on the dimensions of the existing structure. The floor plan has to account for the most important elements, including the pallet racking system, equipment, vehicles, offices, employees’ quarters and supply storage. Australian building codes provide standard measurements where you can base your design for each of these elements. As to where you will place them on the floor, proper consideration of efficiency, circulation of goods, and overall safety is imperative. Of course, apart from the basic design considerations, there are other things that you can do to improve your warehouse space utilisation. 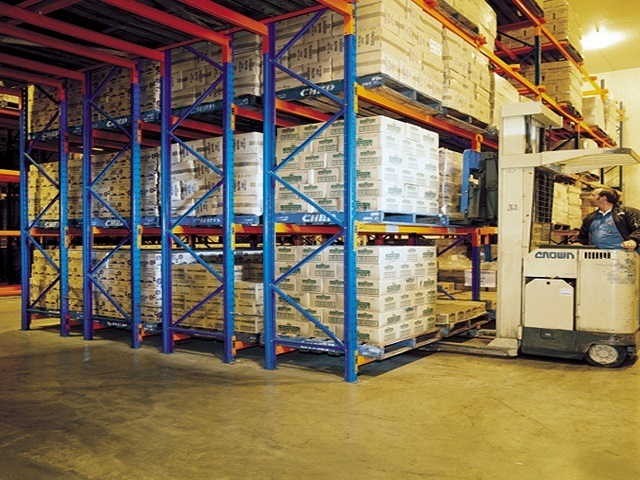 These include de-cluttering to rid pathways of potential sources of accidents or delays, adopting lean inventory practices, customising according to your industry instead of general concepts, and using the right type of pallet racking system. One of the biggest oversights in warehouse design is forgetting to factor in the most abundant source of usable space in the warehouse—the vertical space. Most inexperienced designers would concentrate on proper utilisation of the floor space and neglect the upper half of the vertical space between the floor and the ceiling. If you already accounted for the pallet racking system, then you’re already utilising a significant portion of the vertical space. However, current building standards limit the height at which a pallet racking system can go from the floor for safety reasons. This means that extending your pallet racking system to the ceiling may not be a good option to maximise your warehouse’s vertical space. Building another floor may seem a better idea, but this too poses a number of problems. For one, the additional floor could limit the height of your pallet racks, which you could be addressed simply by installing another pallet racking system on the second level. Another issue is the construction cost. The idea is to increase your warehouse’s efficiency in the hope of saving a little money or better yet increasing your revenue. Spending huge sums of money for the construction of an additional floor defeats that purpose. With a second level permanently in place, your ability to make quick adjustments when necessary will be completely restricted. Your warehouse will not be able to accommodate items over 4 or 5 meters high. That could cause trouble if you are storing a variety of products or using large equipment and vehicles. It could be particularly troublesome for trucks and forklifts. 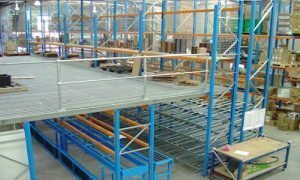 If you can’t extend your pallet racking too high or build a permanent second floor level, why not go for a mezzanine floor? This is an intermediate floor partly open to the double-height ceilinged floor below and does not extend over the whole floor space. It’s some kind of additional floor, except it is made of metal, not concrete, which makes it temporary or sometimes semi-permanent. Depending on its design and features, the mezzanine floor can be movable as well. Low-Cost. Compared to building a concrete floor, installing a mezzanine floor is much less costly. This is mainly due to the types of materials needed to construct it. The main structure is made of steel, but other materials can be used to build the decking. Plywood and timber are common choices but many experts prefer concrete because it’s stronger and more durable. Easy to Install. Because the framework of a mezzanine floor is made of steel, it doesn’t take a long time to build. No curing or drying is required. Each component, along with the rivets and bolts, can be pre-fabricated, allowing installation to last no more than a couple of days to a week depending on the coverage. Flexible. Mezzanine floors are designed to be either temporary or semi-permanent structures. This means they can be removed, relocated, and even customised. 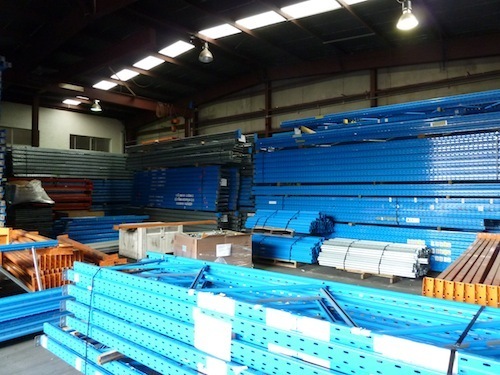 Also, you don’t have to cover the entire midsection of your warehouse’s vertical space with it, as mezzanine can be erected on a portion of the floor space without requiring any special construction technique. Generally, a mezzanine floor can function as an extension of your warehouse’s storage space. However, because its structure is too basic, it can be used for many other applications, including an office, a receiving area for company executives and guests, and even a record storage room. It can even be built simply to provide a quick path across the floor. The materials that make up a mezzanine floor is sturdy enough to hold up to several tons of weight. Consult with your expert about the design of the mezzanine floor you want to install in your warehouse. It should have ample tolerance to the load you intend to put on it. You need experts in mezzanine floor systems like AGAME Universal to help you build a mezzanine floor that lasts a lifetime and yields large ROI. The construction of such structure requires proper consideration to ensure success. Experts can help you assess your warehouse space properly, make an efficient installation plan, and finally find experienced professionals who know how to install a mezzanine floor. Contact AGame Universal today, for more information on creating additional space in your warehouse.